This changes everything. Netflix has announced that the next Cloverfield movie, titled The Cloverfield Paradox, will be available for streaming tonight. This was revealed through a short teaser trailer that aired during the Super Bowl, which can be seen below showing a tiny bit of footage. 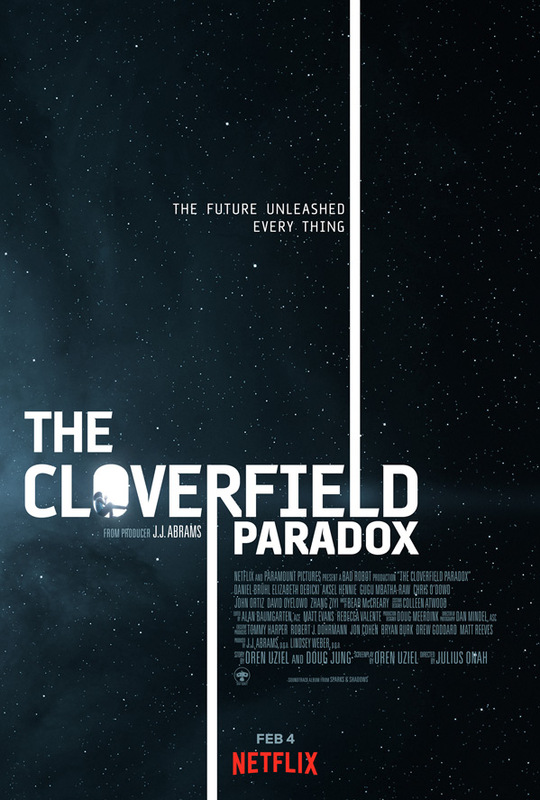 The Cloverfield Paradox was originally filmed years ago as God Particle, about a group of astronauts on a space station who suddenly notice that Earth has disappeared. This teaser makes it seem like the prequel to the original Cloverfield, and it may connect directly into that. The Cloverfield Paradox stars David Oyelowo, Elizabeth Debicki, Daniel Brühl, Gugu Mbatha-Raw, Chris O'Dowd, Zhang Ziyi, John Ortiz, Aksel Hennie, and Roger Davies. No one has seen this movie yet, not even critics, but you can all watch it tonight - right here - which is a major moment in terms of a massive surprise, and suddenly the movie is available for everyone. For more info, visit the official Netflix page for the film. Follow #cloverfieldparadox on Twitter for updates. In the near future, a group of international astronauts on a space station are working to solve a massive energy crisis on Earth. The experimental technology aboard the station has an unexpected result, leaving the team isolated and fighting for their survival. The Cloverfield Paradox, originally titled God Particle (and also rumored to be titled Cloverfield Station), is directed by up-and-coming filmmaker Julius Onah, making his second feature film following The Girl Is in Trouble in 2015. The screenplay is written by Oren Uziel and Doug Jung. Netflix will debut Onah's The Cloverfield Paradox streaming exclusively tonight at the end of the Super Bowl game - which is an unprecedented surprise. Watch it here. Who's excited to see this?